Z and I set up a 'Midway Station', or 'Holographic Library in Space', if you will, for those who want to study while meditating or remote viewing. It is amazing and unlike anything you have ever experienced or read about. It is new and fully functional, having nothing to do with the old frequency Akashic Records and other metaphysical places and spaces you have visited while grid traveling. It is designed for those who understand the dynamics of this reality as a hologram and want to learn more. Don't expect old and familiar symbols or imagery. Done! If your frequency is ready, you can access the information which is the next step in closure. 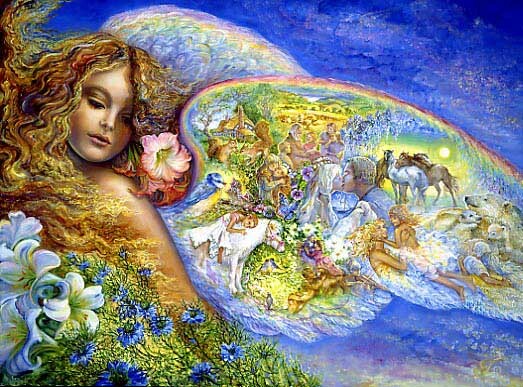 My Friend Dee: Goddess Energies & Spiritual Photos Must Read File ! 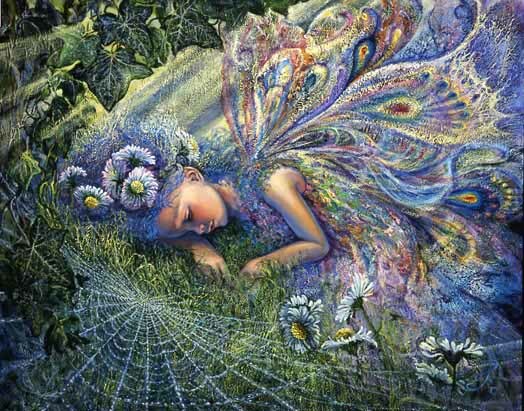 That which we see/experience as our dream time experiences, are other parts of the grid matrix, now becoming more significant, lucid and prophetic, for ourselves and shifting reality. It is one step beyond physical consciousness, often used as a tool to guide your journey. In my wake-up dream Sunday morning, I was back in my old house where I lived with Ralph and my 3 daughters, having decided to reconcile with him and not divorce. There I was, thrust into an alternate reality with people I love, but having memories of this reality. Try as I may to adjust, I couldn't do it, especially as I found myself in the routine of raising 3 young daughters, but in my age group. Finally, I couldn't take it, and that moment of rebellion happened. If all of life is a dream, as the indigenous people believe ... then I believe we will all soon awaken. Tick tock ! Back in the day, I loved my former life style, having a happy marriage, children, and social life, but there comes a turning point, especially in these accelerating energies, when freedom is most important to a soul and one must wake up to the truth, their truth, as consciousness expands. The energies associated with one's movement into wakefulness, stir the soul, and override most else as they wait for that moment what the next step is shown, to move on. I always remembered prior loops and why I was here, now wait patiently for zero point. Setting up the Midway Station, is another marker that we are very close. I would venture to guess that I had my dream to create this blog for others who are struggling with decisions at this time of change, especially in spring when one plants new 'seeds' for the future. It's not easy to gain freedom, which is why I always respect young people who choose not to marry and/or have a family, especially those with mental illness or who come from families with mental illness that lead to substance and other abuses. If you think you are staying in a relationship for your children, don't underestimate them, especially if they are teens. They know a bad, loveless marriage when they have to deal with it from day to day. Find a way ... and move on. You may think you are staying for them, but are you sure it doesn't come from your own programming? Does anxiety rule your life? Are you unsettled, unable to find your direction? March Madness moves into April Romance with spring energies in the northern hemisphere. With that comes major changes in relationships. Those that don't work are 'Out'. New relationships and soul connections are 'In' as people want to experience the higher frequency of romantic love, and deal with understanding what love is about for them. In April, at the onset of Taurus, (April 23-27), relationships generally shift. Are you restless in love, in bed, at work, with friendships, or with life? Tap in. Shift your grid. Do a reality check to see if it is time to move on. People are tired of being caretakers. Are you married and just want to have an affair ... no fair to your partner. It would seem that being Politically Correct and Politically Corrupt are 'In' ... just look at the state of affairs politicians and others who preach ... are in. When moving through life we are taught that our behavior should be Politically Correct, but how many people can live up life's challenges that way. Political correctness (adjectivally, politically correct; both forms commonly abbreviated to PC) is a term used to describe language, ideas, policies, or behavior seen as seeking to minimize offense to racial, cultural, or other identity groups. Conversely, the term politically incorrect is used to refer to language or ideas that may cause offense or that are unconstrained by orthodoxy." 400 + years later, the world still looks to the prophecies of Nostradamus for answers. He died in 1566 (666). My grandson Michael called and asked about something he read this week. 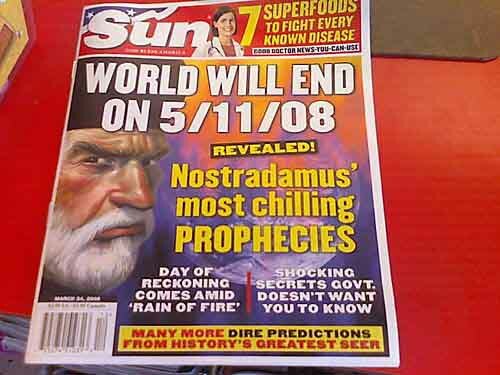 It mentioned that Nostradamus predicted the end of the world on May 11, 2008. 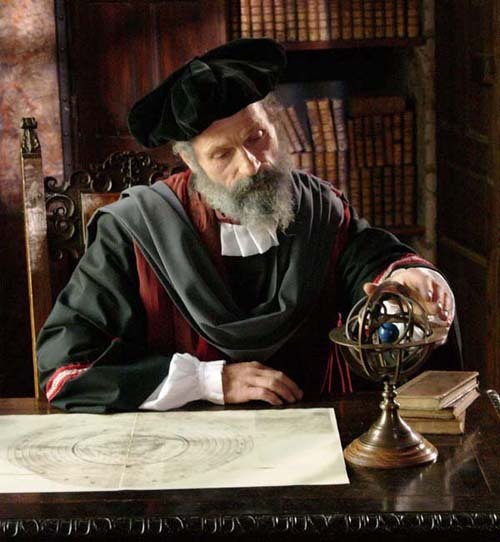 Somewhat concerned, Michael wanted to know if it was true, after seeing me as an authority on the History Channel presentation - which originally aired October 27, 2007 - called The Lost Book of Nostradamus. No sooner blogged here than the program magically appeared on TV again, broadcast this weekend. I assured Michael that life would continue on ... along with his birthday party, school, sports, summer camp, and the wonderful things that need to fill the minds and hearts of young children. He's a really great kid. I told him that the Quatrains were cryptic, subject to personal interpretation, and that with end times, no one has an exact date. Coming from my family, he already senses something close on the horizon, but left for school satisfied that grandma knows what she's talking about and to assure his friends, they'll finish the school year and baseball season. Michael is an Aries, turning 10 on April 10th. Some of you may remember the events leading up to his birth when he gave me the day, date and time he would be born, not to mention the place and house he wanted to live in. It all came true. Though Michael's original sonogram showed a girl, he came to me in a dream and said, "Sam I am!" (Sam is a male name, and is also a frequency similar to David - Star of David.) In another dream, he was riding a tricycle in a circle inside the house his mom and I 'accidently' discovered a few days later. Just before Michael's brother Dylan was born on December 19, 2000, he came to me in the King's Chamber of the Great Pyramid on 12/12/00, and told me I would return there the day he turned 12 - December 19, 2012 - which takes us to the Mayan Calendar prophecy and the ascension of consciousness out of this hologram. Dylan was born on his due date. About 5/11/08 - it doesn't resonate for me. Perhaps you feel something critical will occur on the planet as things heat up, but there's nothing Earth shattering as far as I see. 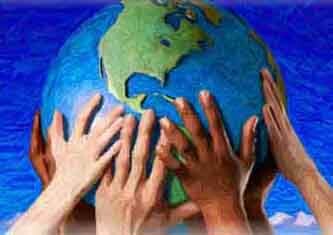 Part of the human condition is global unity on one or more issues that confront us. The energy is experienced as a way to heal and help the souls and the planet, to raise frequency and conscious awareness. This is becoming part of the evolution of humanity's journey in time. 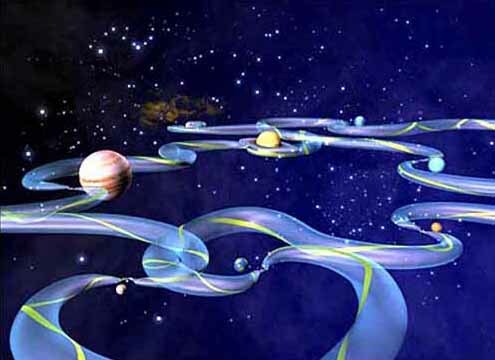 The closure of the program is the return to the point of origin, zero point, if you will, reunion of soul aspects, groups of people on like/lite frequency coming together to that end. Earth Hour is an international event that asks households and businesses to turn off their lights and non-essential electrical appliances for one hour on the evening of 29 March at 8 pm local time until 9 pm to promote electricity conservation and thus lower carbon emissions. It may also help reduce light pollution, and in 2008, coincides with the beginning of National Dark Sky Week in the USA. It is promoted by World Wide Fund for Nature Australia (WWF), an environmental lobby group, and the Sydney Morning Herald. 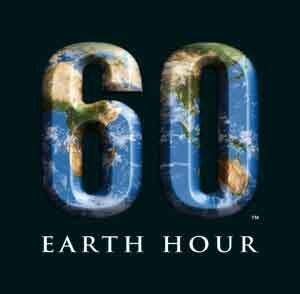 The first Earth Hour was held in Sydney, Australia between 7:30 pm and 8:30 pm on March 31, 2007. The 2007 Earth Hour is estimated to have cut Sydney's mains electricity consumption by between 2.1% and 10.2% for that hour, with as many as 2.2 million people taking part. Earth Hour 2008 marks the first anniversary of the event with many partner cities and individuals around the world participating. Globalization is not only In, it links everything in the human experiment, for classification, clarification, analysis, and final review. We live in a diverse melting pot on planet Earth ... melting in more ways than one. Today, most of my clients, and people in many different parts of the world, are a mix of ethnic backgrounds. Many are multilingual and have lived in different parts of the world. 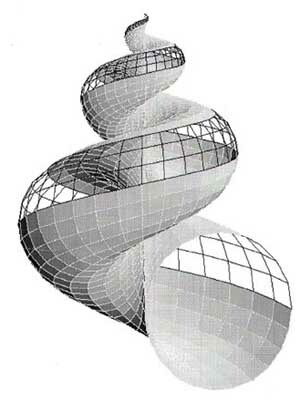 In the months ahead, (no longer measured in years), the planet will seem smaller and warmer, time will appear to accelerate exponentially, your life and goals will change as consciousness continues to spiral everything back to zero point, Fibonacci. There is no mistaking the accelerating Earth changes as the program moves to zero point. This week features the following stories which are ongoing from the past. Personally, I prefer to watch the movement of the tectonic plates, as they are the true barometer of end times, and go to an increase in earthquake and volcanic activity with accelerating intensity. It's also interesting that as planet Earth melts down, so too are they finding evidence of meltdown on other planets in our solar system. Checking ... Mars in the News ... March 11, 2008 and Saturn In the News ... March 24, 2008. Is anyone ever happy at work? Is it better to be self-employed and carry the burdens of work with you 24/7, or work for a company with good benefits and walk away at the end of the day? 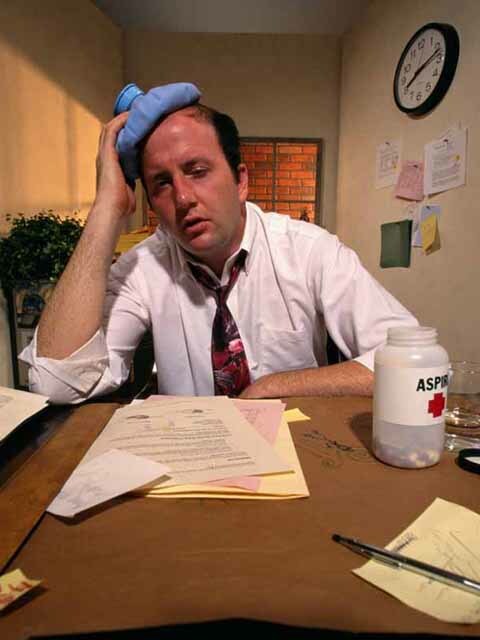 Does work create high blood pressure and other stress related ailments for you, such as anxiety? 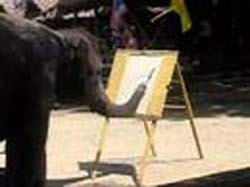 The recession is 'In' - changing the business world from day to day and with that, all of reality. Those who once owned businesses, may now find themselves working for others, which isn't easy and generally a huge shift in life. Most dream of the day they will own and operate a successful company once again. Having had their '15 minutes of fame', most never do, because of the time and energies involved. Losing a business, or being forced to sell or merge, is not easy. If you sold a business and retired years ago, you may now have to return to work, due to the recession. But can you compete with younger people who are 'on top of their game'? Do you have the energies for the work load involved? How many people do you know who once thought they were comfortably retired, and now have financial problems? Do you have to help them out? What does that do to their sense of self and well being? Once an executive, it is hard, if not impossible, to work for someone else, especially if that person is inefficient and the company is poorly run. The dream of being an entrepreneur, or as someone has coined the term a "Spiritualpreneur", is far more difficult than it appears. Running a business takes its toll, as does working for someone. Physical reality will always present challenges, so try to find something besides career that works for you in your free time. It's spring, so maybe you should think about getting out and smelling the roses. While working at the computer each morning, I often watch the grids that will create my daily routine and how I shift them for manifestation. We all speak about The Law of Attraction, The Law of Manifestation, The Secret, and Laws of Synchronicity. Learn to play the game within 'The Law'. I thought the consciousness grid was into self-awareness, so I found it interesting on Sunday when a news reporter, while doing a profile on 'What's In and What's Out for 2008', said that self help books are 'out'. Okay. When you live in a large cosmopolitan city, you pay attention to trends and want to stay on top of things in all levels of experience. In many parts of the world, and in many people's lives, none of that is important, and yet as reality merges, what affects one part of society, or group of souls, affects everything with greater impact today than ever before, where the reflections used to be subtle. 'What's In' is paying attention to changes in finance and business, the physical planet, politics, and the climate of consciousness. Don't live in the past saying, "This is the way it used to be." That was yesterday. Today is a new day, a new world, and a new You. Living in Yesterday is 'Out' as the program creates new experiences at an accelerated rate, before it shuts down. The upgrades in technology and science are a reflection of how fast it is all moving. We are swept away globally in Earth changes. How fast can you keep up? And about your emotional problems... you know what you have to do as moods swing ... 'What's In and What's Out' for you today? 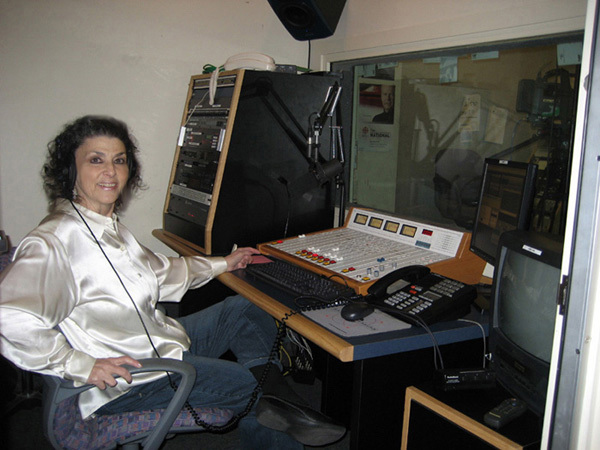 March 25, 2008: Today I had a great time at the CBC (Canadian Broadcasting Company) studios in the city, and was asked to return in the future to discuss on another topic, as yet undecided. I'll be part of an upcoming radio series called "Between You and Me", to air in Canada and on the Internet, sometime this summer. Today's topics: The One, Soulmates, and Balance Partners. On Sunday May 18, 2008, I will be part of the Sci fi Channel special "Mysteries of the Crystal Skulls." The world recognizes that we are on the verge of understanding the truth about the hidden mysteries of our reality created by those who conspire to hide what is in plain site. These days, I am frequently asked to talk about different subjects for Internet broadcasting. Tuesday I was invited to talk on an Internet radio show out in the mid-west - the topic: Majestic 12 also called MJ12. This takes us to 1947 and the cover-ups after the UFO crash in Roswell, which always spike in the grid and begs for truth. I declined the invitation as the show airs too late at night for me. 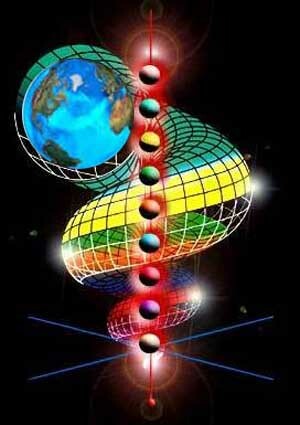 MJ12: We are back to the games of 12 - 12 around 1 - 2012 -- 0,1,2 - Fibonacci Numbers etc.). MJ12 takes me to one of my earliest blogs, circa 1996, (BA, Before Archives) when I wrote about Paul Bennewitz and what had happened to him. His widow contacted me a short time later to thank me for printing the truth. I met most of the key players mentioned on my MJ12 file, back in the day. 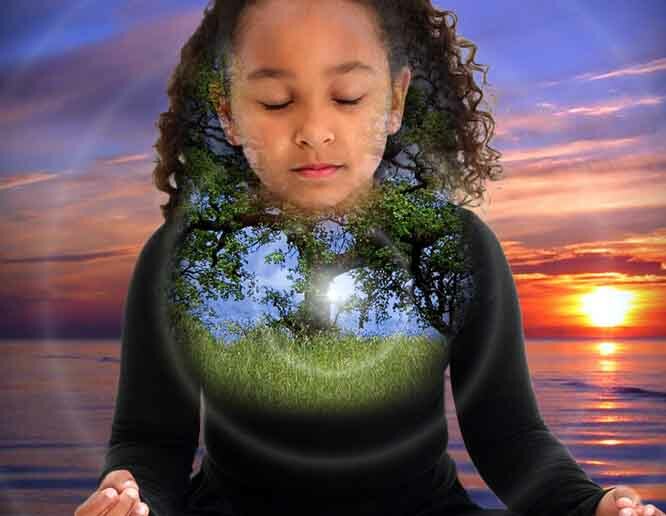 Many of us no longer live 'in the day' but are moving consciousness into quantum experiences. MJ12 also takes me back to my Bill Cooper days, when we were friends and I sponsored him here in the city. Bill was also was a guest on my TV show, "The Metaphysical Experience". We liked the fact that we were born in the same year, and here to play at many of the same games -- at least in the 1990's. By the twenty-first century, Bill was murdered and Ellie continued on with her mission. I haven't dabbled in conspiracy theories, and the players in that part of the game, for some time ... too dysfunctional and sensing a lot of energy put into something that will one day be exposed, along with other scandals those in power and politics conceal. 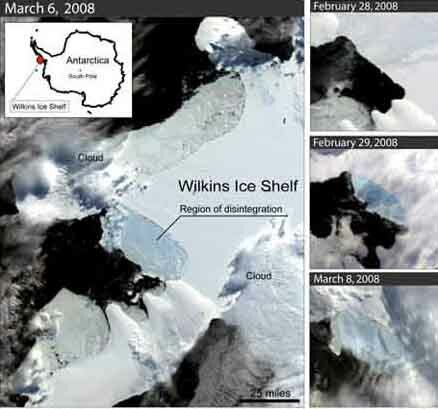 With everything melting down, what do you envision rising beneath the sheets - of ice, that is ? Old unsolved conspiracy theories are 'Out'. 'What's In' are increased legitimate sightings and alien agendas that take us to zero point - first contact and disclosure - which beckons us home. Many of the reported sightings, and latest technologies, are a direct result of reverse engineering, allegedly taken from crashed UFO's. Makes sense to me. When you look back at some of the things you've done in the past, doesn't that seem like eons ago? Your consciousness recognition of linear time is shifting. Awareness and full disclosure are 'In'.